Enrique “Henry” Torres, 80 of Silver City passed away April 6, 2018, at Presbyterian Rust Medical Center in Rio Rancho. Visitation for Henry will be at eleven o’clock in the morning on Friday April 13 at The Grant County Conference Center, 3031 Hwy 180 East in Silver City. The Funeral Service will follow at twelve o’clock noon. Concluding services and burial will follow at two o’clock at Fort Bayard National Cemetery where he will be laid to rest next to his wife Carolyn. Military Honors will be accorded by the United States Navy Honor Guard Representatives. Officiating will be Deacon Bill Holguin. Serving as pallbearers will be Eli Estrada, Danny Torres, Pete Segulia, Ty Bayes, David McCauley, and Deli Crumbley. Honorary pallbearers will be Glen Taylor, Alan Brabham, Andy Estrada, Cody Marshall, Mike Wells and Steve Wells. Henry was born November 7, 1937 in Faywood, NM to Procopio and Paula Torres. He had attended and graduated school in Deming and from there served his country honorably in the United States Navy. 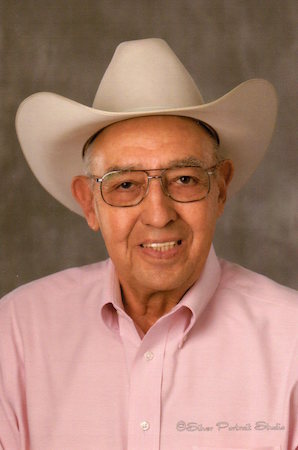 Henry operated an auction business and from there went on to work with the New Mexico Livestock Board and retired after more than 25 years of service. Henry had served two terms as a Grant County commissioner and had also served on many boards throughout Grant County. Henry will be missed by the many people he served and who knew and loved him..
Henry is survived by his daughter, Paula Torres; stepsons, Mike Wells and Steve Wells; three grandchildren, Joy Brabham, Renne Marshall, and Karla Fortenberry. Five great grandchildren, Ashley Brabham, Lane Marshall, Dakoda Marshall, Chelsea Brabham, and Tayla Fortenberry. Also surviving Henry are nieces, nephews, cousins and may friends. He was preceded in death by his loving wife, Carolyn, his parents, Procopio and Paula Torres and two sisters, Elsie Torres and Beatrice Torres.